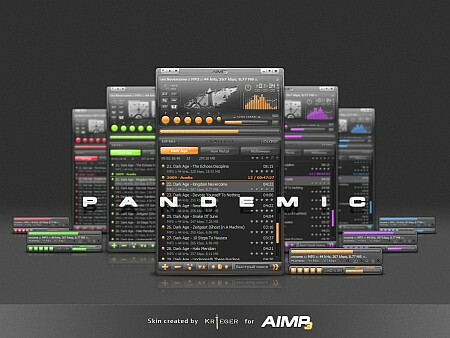 AIMP Audio Player 4.51.2083 Final Portable » TopFreeSoft.Net - Best Freeware Software! Audio converter codes music from the most different formats in wma, mp3, wav, ogg. AudioGrabber allows to overtake AudioCD in Mp3, OGG, WAV or WMA. The sound recording will allow you to write down a sound from any audio of the device in system. The built - in editor of tags, support WMA, MP3, OGG. An opportunity of record AudioCD, MP3-disks and disks with given. Language localisation: English, Arabic, Belarusian, Bulgarian, Catalan, SimpChinese, French, German, Hebrew, Italian, Japanese, Polish, Russian, Serbian, Spanish, Swedish, Thai, Turkish, Ukrainian, Uzbek. Settings of installed AIMP2 should be preserved.